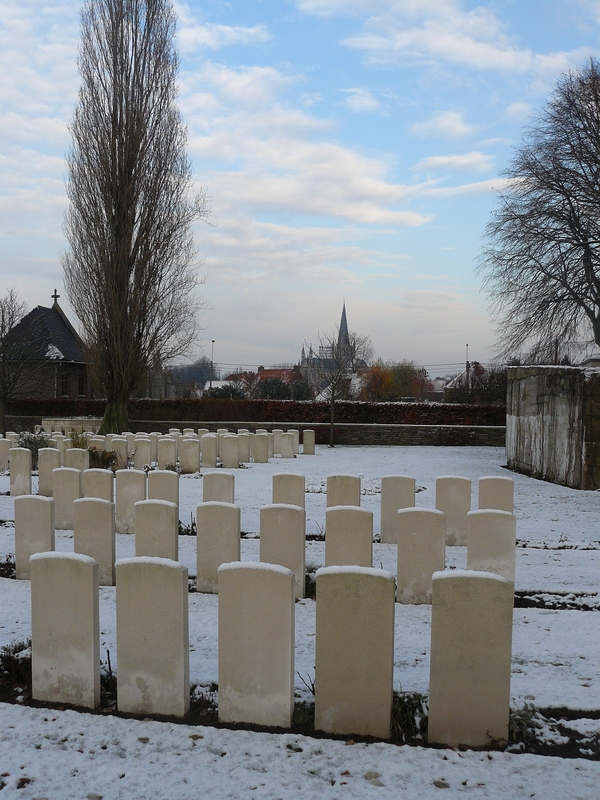 If you were to travel some seven miles or so, as the crow flies, due east of the city of Ieper (Ypres), you would find yourself amidst the battlefields of late 1918, when British, French & Belgian troops were pushing the Germans back from their long-held positions around the Salient. 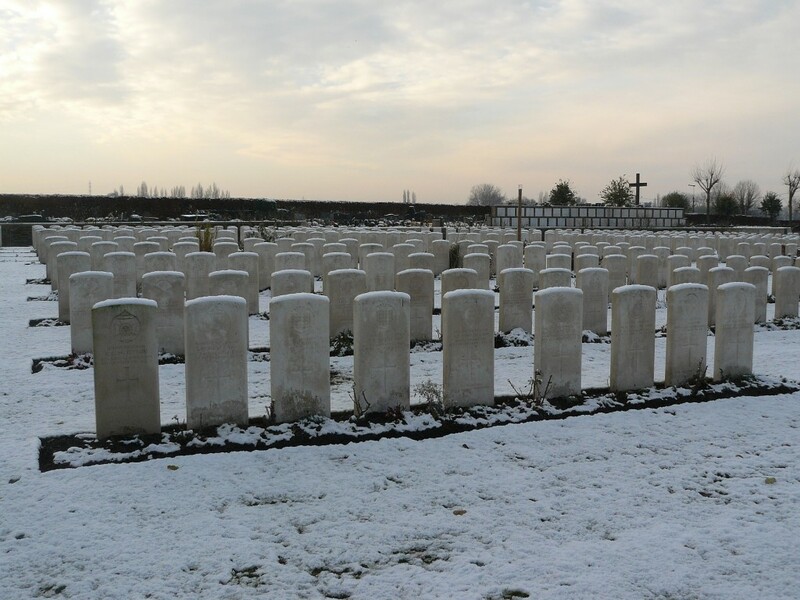 Consequently there are a handful of seldom-visited CWGC cemeteries and burial plots to be found in the area, and Baldrick & I thought it only right and proper that we pay our respects to these men who lost their lives in the final few weeks of a long war. 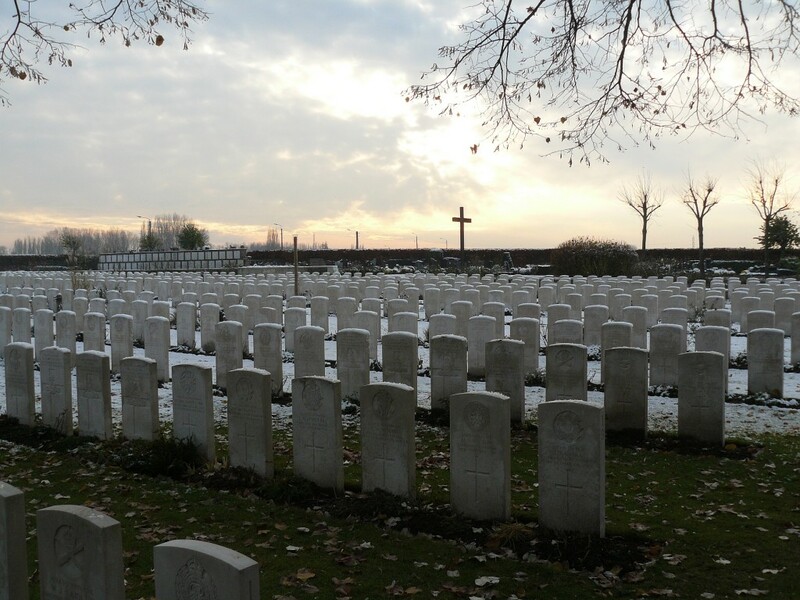 Over the next few months we shall bring you the results of our travels, and we begin with by far the largest of the cemeteries we shall visit, Dadizeele New British Cemetery. A winter’s day in Dadizele. It snowed last night, and it is bitterly cold today. Amidst the various singposts (sorry, we didn’t go to Dadi Park, whatever that might be) a CWGC sign points the way to Dadizeele New British Cemetery*. 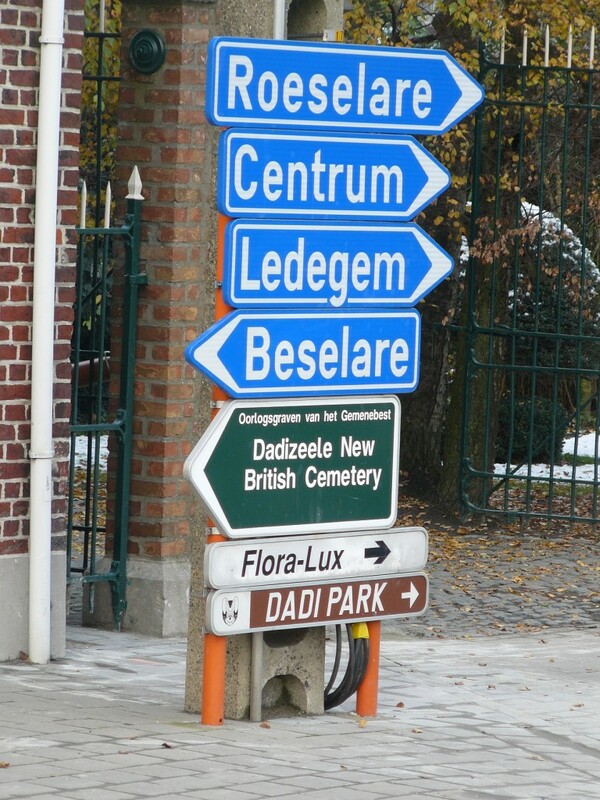 You will note that one of the other signs points to Ledegem, where at a later date we will visit another, somewhat unusually situated, CWGC cemetery. *Dadizeele is now known as Dadizele, and Dadi Park, it turns out, is an abandoned amusement park, which sounds eerily interesting, so perhaps we should have paid it a visit. The Basilica of Our Lady in the centre of Dadizele, heavily shelled in the First World War, damaged again during the Second, and now rebuilt so you’d never know the difference. 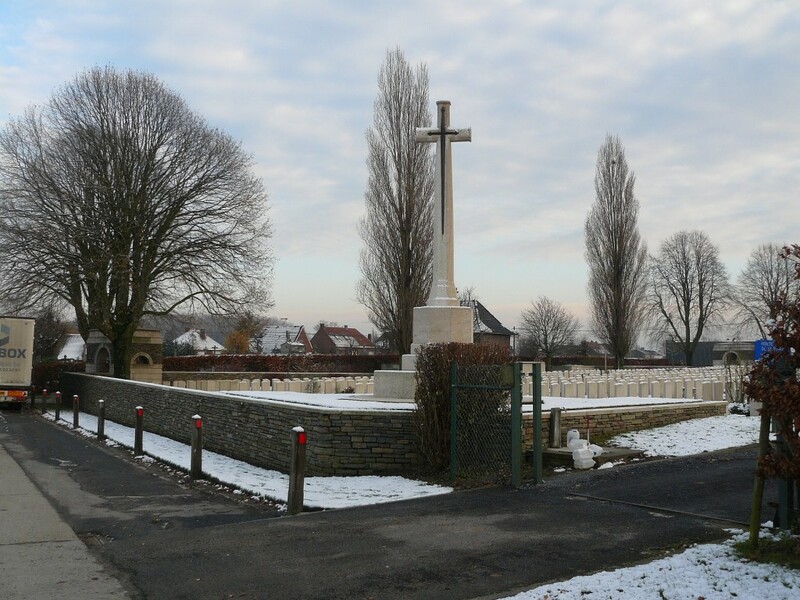 Dadizeele New British Cemetery is a post-war cemetery, started when graves from smaller burial grounds in the area, and from the surrounding 1918 battlefields, were brought here for reburial after the war. 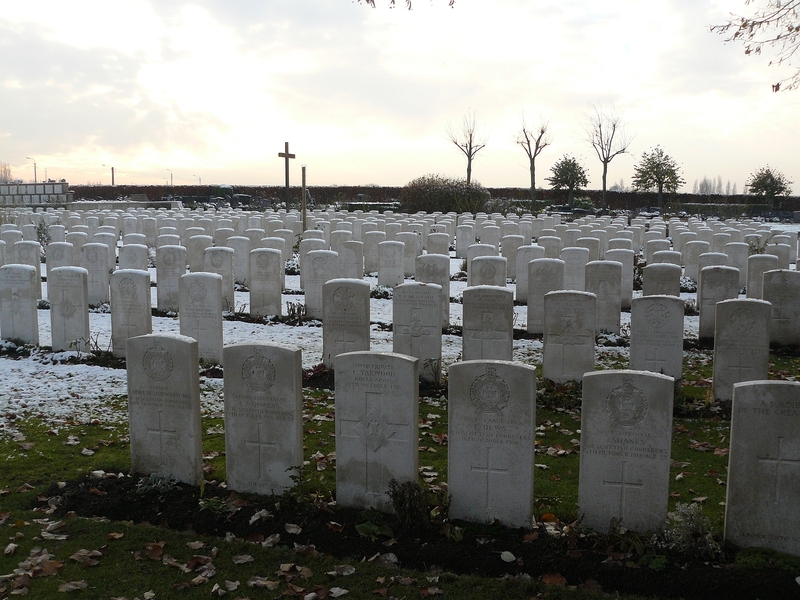 There are just over 1000 burials, and all, except for a handful from 1914, date from September to November 1918. 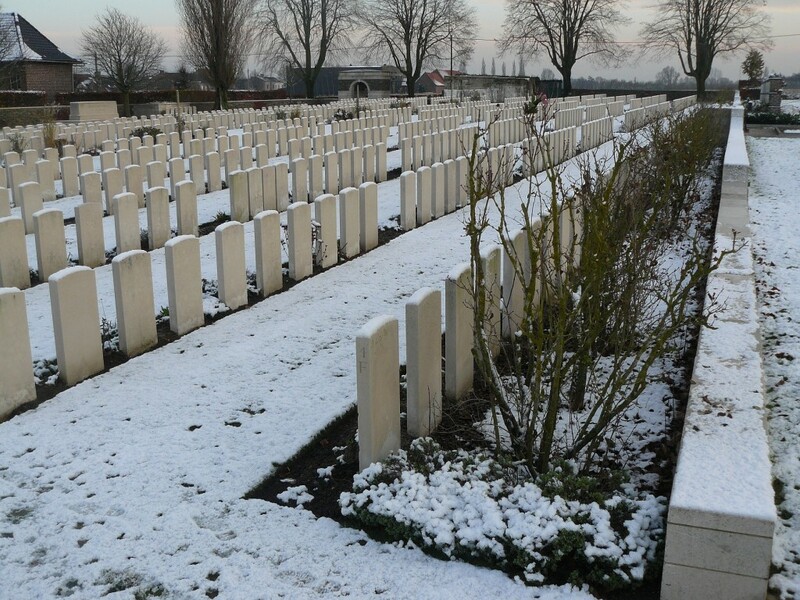 It’s worth remembering that the British suffered a staggering 350,000 casualties between the beginning of August 1918 and the end of the war in November. 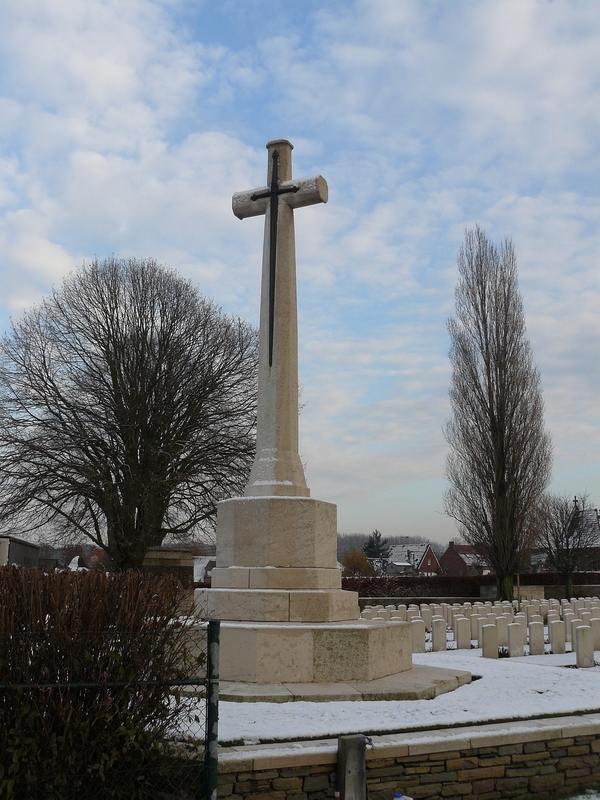 The Cross of Sacrifice in the western corner of the cemetery. 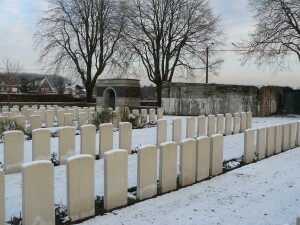 View from just inside the cemetery entrance (see the Cemetery Plan below, courtesy of the CWGC) looking south west across the headstones of Plot I. Two more views of Plot I (the first five rows), with Plot IV beyond. Panoramic view from near the cemetery entrance looking south. The Stone of Remembrance. Beyond are more special memorial headstones that we shall visit in a moment (see picture below). The building to the left is in the adjacent Dadizele Communal Cemetery. 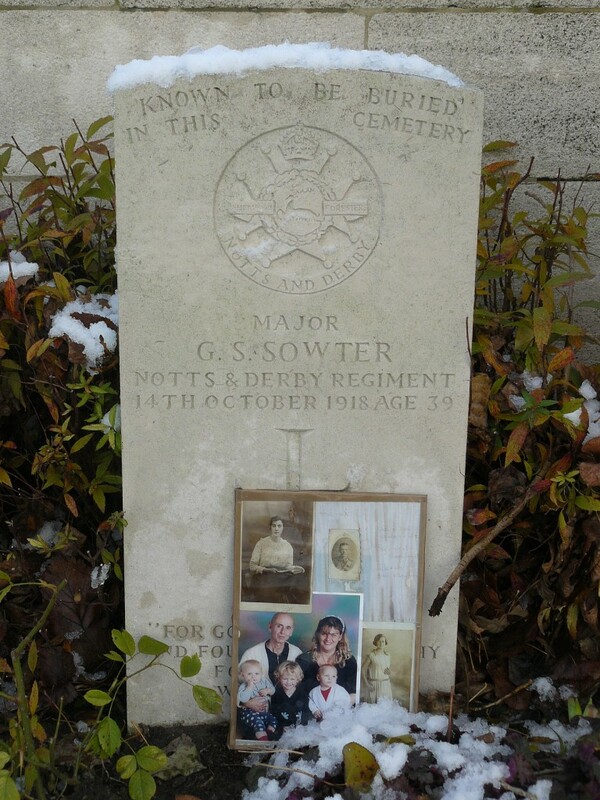 Major Geoffrey Sowter, third headstone from the right in the photo above, and clearly not forgotten. 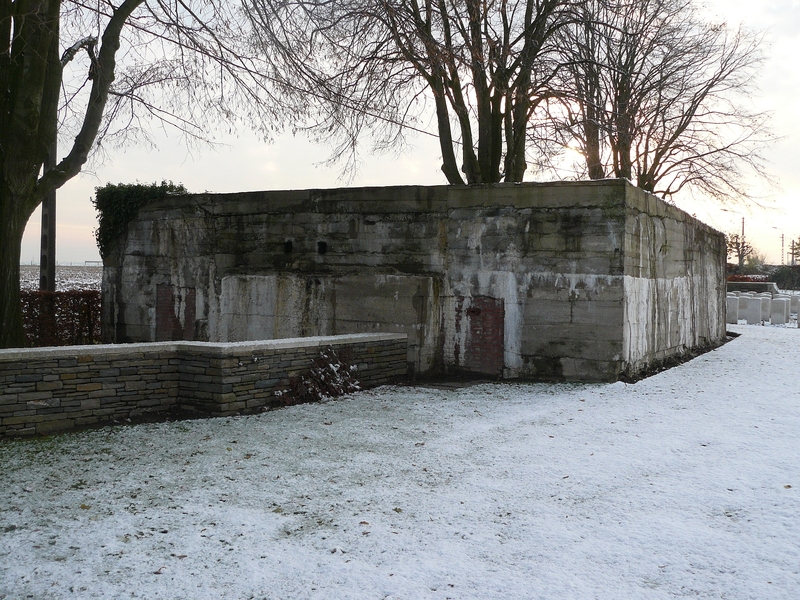 This large German bunker now forms part of the southern boundary of the cemetery. 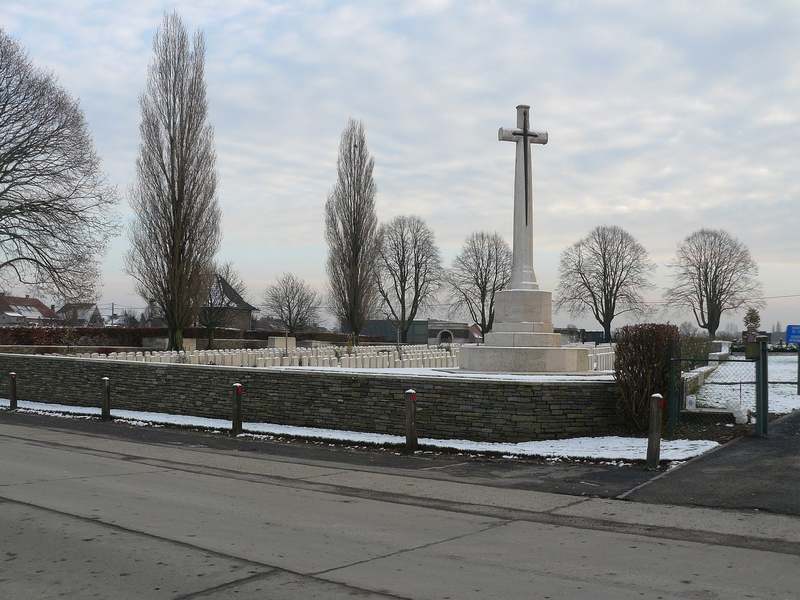 North westerly view taken from the same spot as the photo above, showing Plot III in the foreground and the Cross of Sacrifice in the right background. 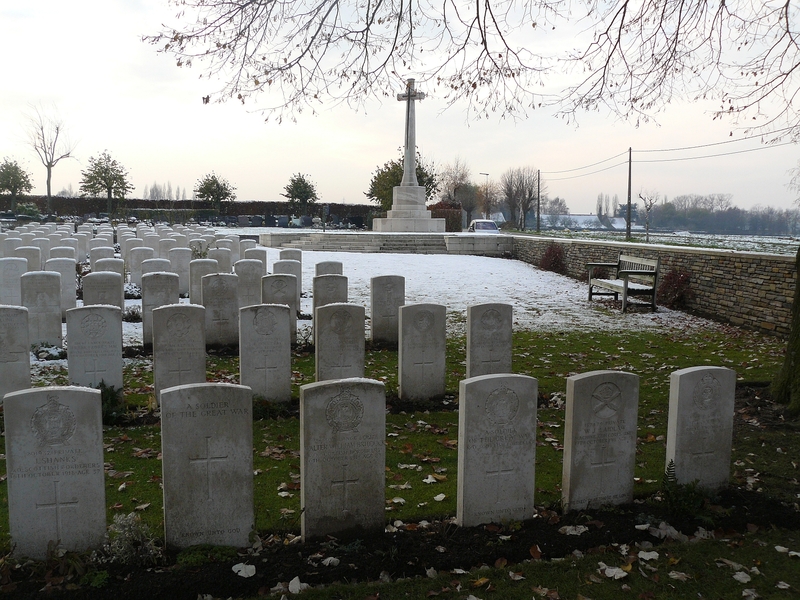 …and south across the same headstones, with part of Plot VI in the right background. 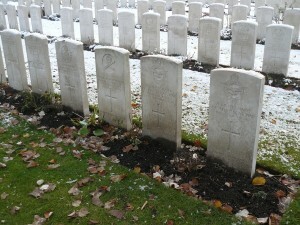 Black Watch graves in Plot VI. North east view from Plot VI, with Plot III beyond, the bunker on the right, and the Basilica in Dadizele on the horizon. Plot VI (left) and Plot III (right). 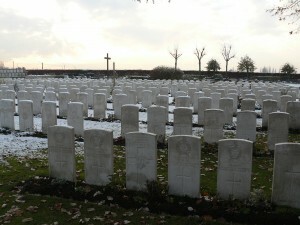 Looking west across the headstones of Plot I, with Plot IV beyond. Southerly view across Plots IV (nearest camera), V, and in the background, Plot VI. Back at the Cross of Sacrifice looking south east across much of the cemetery. Plot IV is nearest the camera. 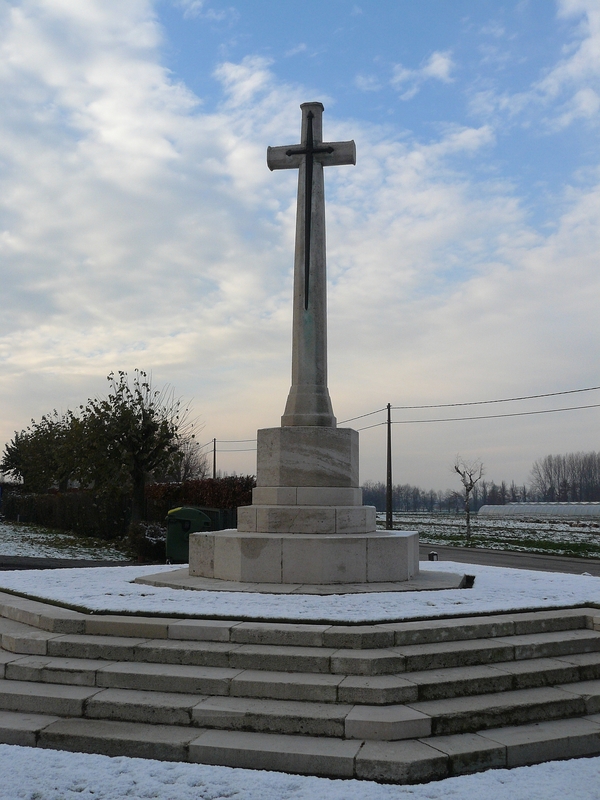 Cross of Sacrifice, winter’s sky. A beautiful day, but too damned cold. Let’s go, Balders old chap; I suggest we return to visit Dadizele Communal Cemetery, where 29 British soldiers (two are Second World War casualties) are buried, another day. Preferably a warmer one. To find out whether we did, click here . Frank Haswell, army No 47073 is buried there and I have often wondered about his grave, and what the cemetery is like. From your photos I can see that there is a great deal of care in the upkeep of the graves. My uncle Frank’s grave is 11 A11. Finally a big thankyou to the people who look after the cemetery. Thanks for your comments, it is appreciated, and I’m pleased you can now picture where Uncle Frank is buried. 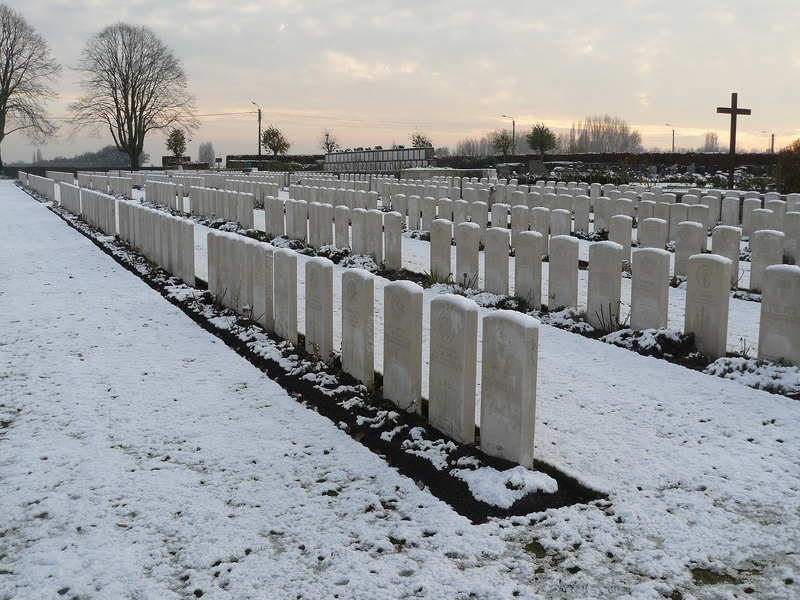 according CWGC your uncle 47073 Frank Haswell was killed in action on 14 or 15 Oct. 1918. Looking at the place he was originally burried in 1918 he must have been killed on the 15th. 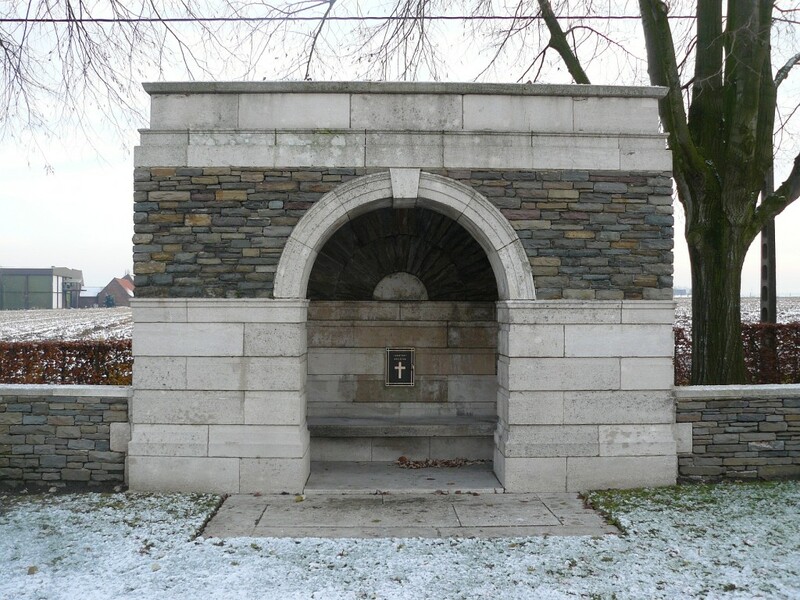 He was originally burried in the field, on the place where he fell, between the villages Gullegem and Heule. In 1920 his body was exhumed and reburried in Dadizeele NBC. 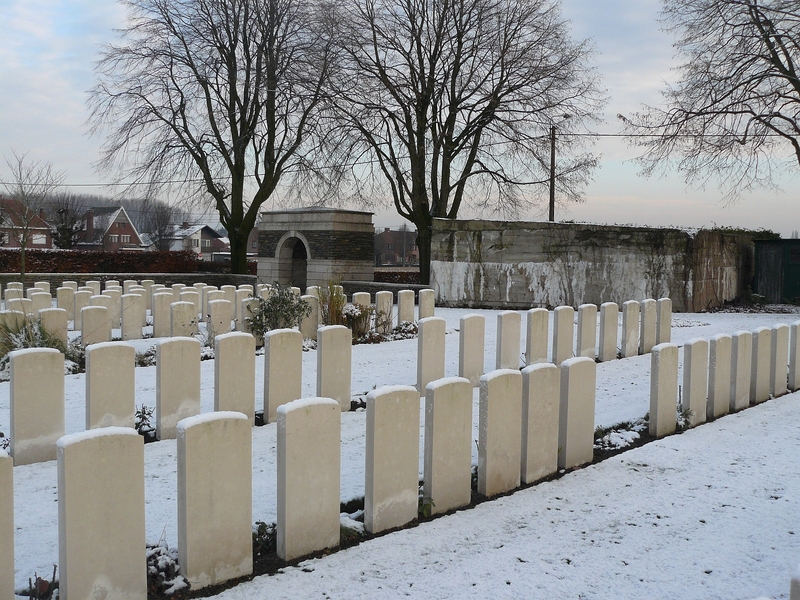 It was really nice going onto your site to see Dadizeele Cemetery — Our Great Uncle Hugh Darroch s/24368 RH Black Watch died on Oct 1 1918. I was told he was later buried there by a military historian. Some family members have been over, I hope to visit later this year. Thank You ! Thanks for your comments Elizabeth. 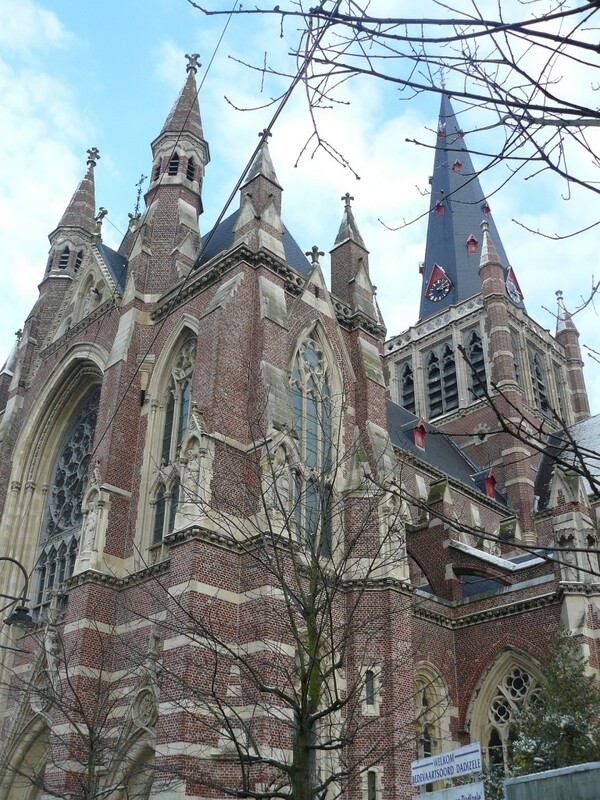 Glad you liked my little tour round Dadizeele, and I do hope you enjoy your trip later in the year. Just started looking at family history and very moved by discovering my Grandfather’s cousin Sam was buried here. Hope to visit soon. Dunwoody – Killed in Action in France on 5th inst., in his 22nd year Second Lieutenant Samuel Dunwoody, Royal Irish Rifles, second son of Forster Dunwoody, Yew Tree, Priory Lane, Penwortham. CWG: Second Lieutenant, 17th Battalion Royal Irish Rifles. Died 5th October 1918. Grave Reference IV . E . 5. 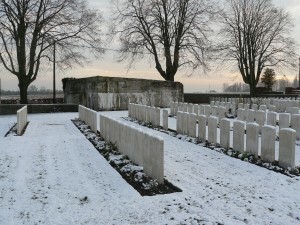 Dadizeele New British Cemetery. Viv, apologies for the delay in responding to your comment, but I have been away for a week or so. Thanks for sharing the info about your grandfather’s cousin, although I think we know that he was killed in Belgium, not France. You will often find contemporary reports where ‘killed in action in France’ can mean either France or Belgium. Sorry about the Geography error. My wife and I visited the cemetry last Saturday (also the Menin Gate). A very moving experience 95 years on. I’m really glad you had the chance to pay your respects. Did you manage to see the cemetery register, and if so, did you notice if there have been many visitors there this year? I’d be interested to know. I did see and sign the register. I know there was a group there from N.Ireland on 30th June (probably heading for the Somme on 1st July) whose names covered about one page. They left laminated plastic memorials at a number of graves. Might have been another 8-10 names since then. Thanks Viv. It’s not exactly on the tourist trail, but it always seems to have a handful of visitors most months. 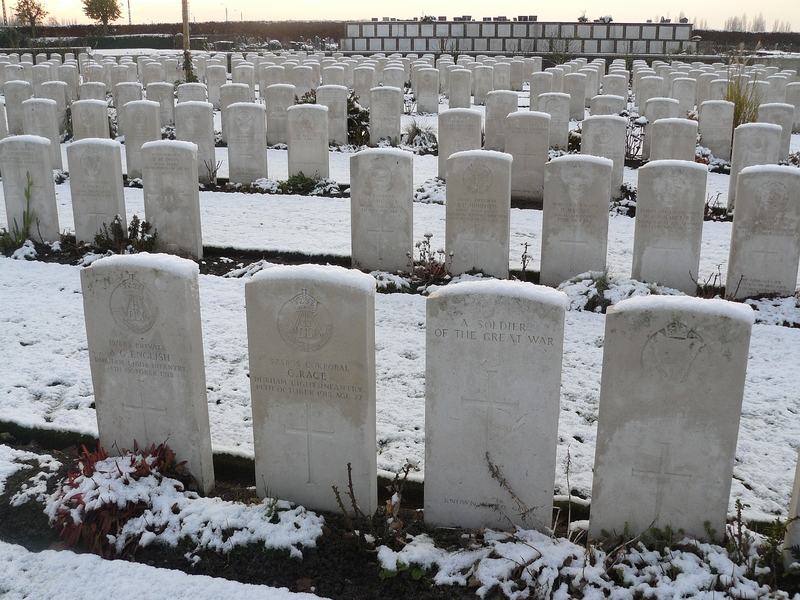 Thought you might like an update- now found a relative on my fathers side – a great-uncle of his, Henry Mitchell Kelly, was killed near Arras 3 April 1916 -23 years young. A private in the Black Watch (1/6th Btn) with the 51st (Highland) Division though born and enrolled in N.Ireland. Buried at Maroeuil – which I think you’ve still to visit. Will try and get ther next autumn. Visited Verdun/Douoamont while travelling back from UK this year. Very impressive- eyeopener for us small-island Brits as to what the French suffered on their own soil. Sending my sister to the National Archive this winter to look at Samuel Dunwoody’s papers. We took my father-in law Walter Copley to see the grave of his brother who lied about his age to join up in 1987. It was his first trip outside Ireland and he was four when his brother died just over a month before the war ended. 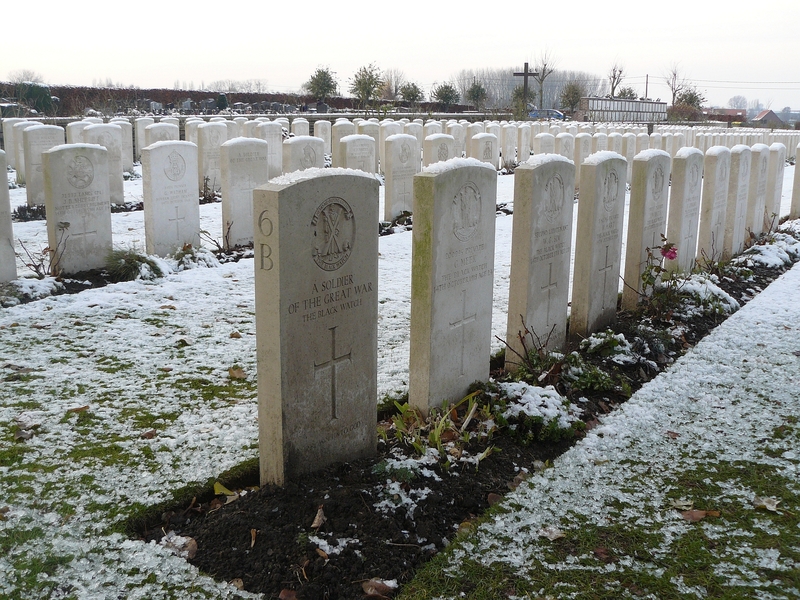 John Victor Copley Private 143864 died 01/10/1918 21 Machine Gun Corps (Infantry) United Kingdom Plot Number IV. D. 24. 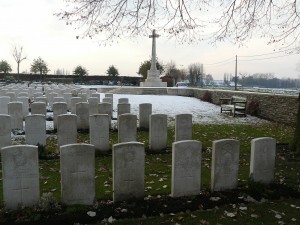 Dadizeele New British Cemetery. Every school kid should be made to go here. Couldn’t agree more Paul. 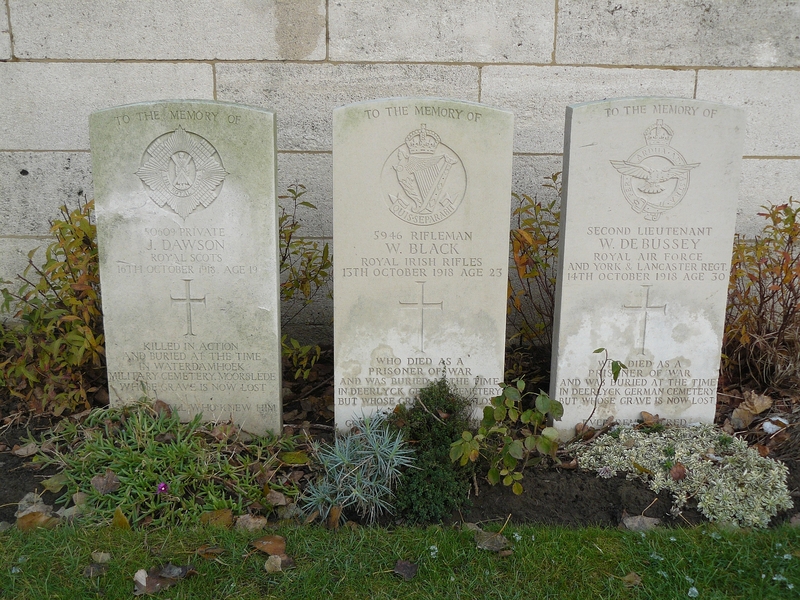 For your information, if you look at the third photo from the end, third row from the front, you will see four headstones almost touching; Private John Copley’s headstone is two to the right, as we are looking at them, of those four headstones. From that, you can also now work out where he is in the previous photo. Thank you for putting up these photo’s. My Great Grandfather W. Green is buried here, he was killed when my grandfather was about 5. would love to visit his grave site but as I live in Australia it is highly unlikely. Hi. My wife and I have just started doing our family tree. One of our early discoveries is my great uncle Abraham Matthews who died in France according to the records and is buried in Dadizeele. Googled the cemetery and astonished to find him mentioned in your report. Hi Stan. Good luck with your research. You know, when people such as you find a relative or a connection with one of the cemeteries I write about on this site, it makes all the work involved, and there is a lot of stuff to do, believe me, worthwhile. I presume you clicked on the photo to enlarge it; your Great Uncle’s name is clearly visible. Thanks for that. 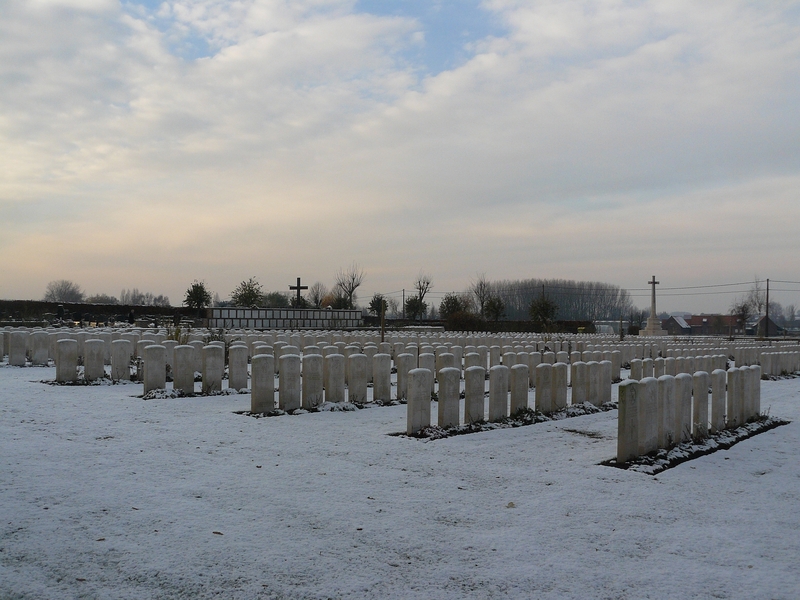 We were in Ypres last year and visited a few cemeteries in the area. If only we had known about Abraham then. Never mind we hope to go over again next year and pay our respects. He also is commemorated in Weaste cemetery in Salford and we are going there this week. I presume he is remembered on a family headstone at Weaste? As you say, hopefully you will be able to visit his grave next year; I am going over in a few weeks time, but I doubt if I shall find myself in the Dadizele area on this trip. was burried in 1918 near the spot where he fell : in the front garden of a little chappel in the village of Gullegem (Belgium). 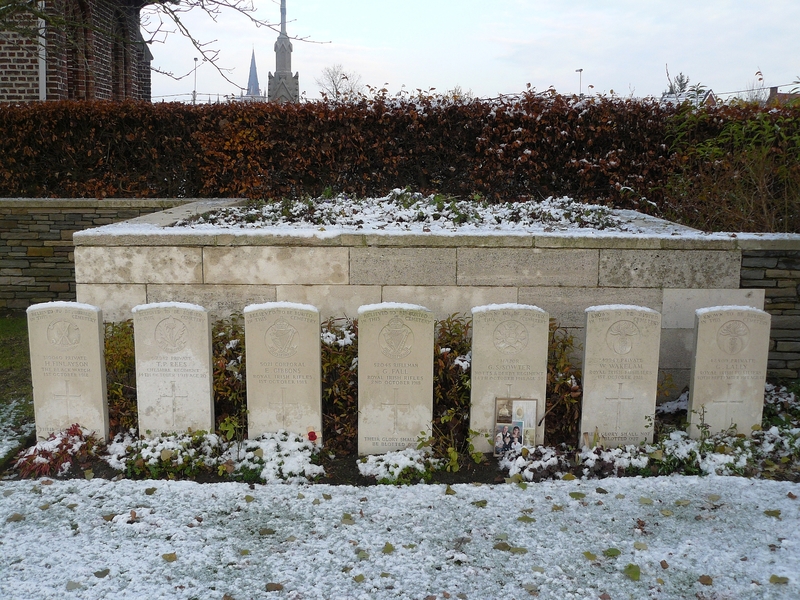 Other men burried in the same front garden where killed when they were shelled by the German artillery around noon of 15 Oct. 1918. Nice information Bart. Thank you for taking the trouble, and I hope the relevant people see your comments. I just discovered your interesting site. 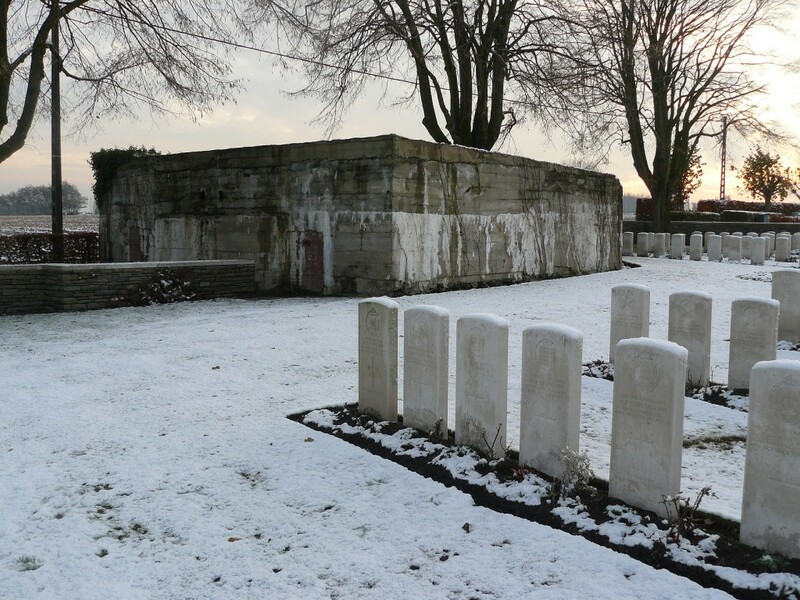 Did you know there is another very little British cemetery between Menen and Dadizele (near Kezelberg) alongside the ancient railroad between Menen and Roeselare. For the moment I forgot the name. Welcome Claude. With regard to the cemetery you mention, can I suggest you follow this tour (The Advance East – there are just five parts) and see if you encounter it. I have a feeling you might. And hopefully you’ll find it interesting on the way. Or just click on the ‘1918 – The Advance East’ tab at the very top of the category section and see if it is listed there. I see your Grandfather won the MM in August 1918 and you got info on that from the Worcesters site. Hope that is a help. You must visit it sometime. My grandfather’s cousin was killed on 5.10.1918 and is buried not too far from your grandfather. Although originally from N.Ireland I’ve been a lifelong “baggies” fan so was interested to see your Grandfather was born in West Bromwich. Hi Vic I’m also a life long baggies fan ,I’m hoping to visit his grave in the not to distant future,yes I found out quite a lot about my grandad from the Worcestershire regiment museum,they sent me a lot of info about how he won the mm. 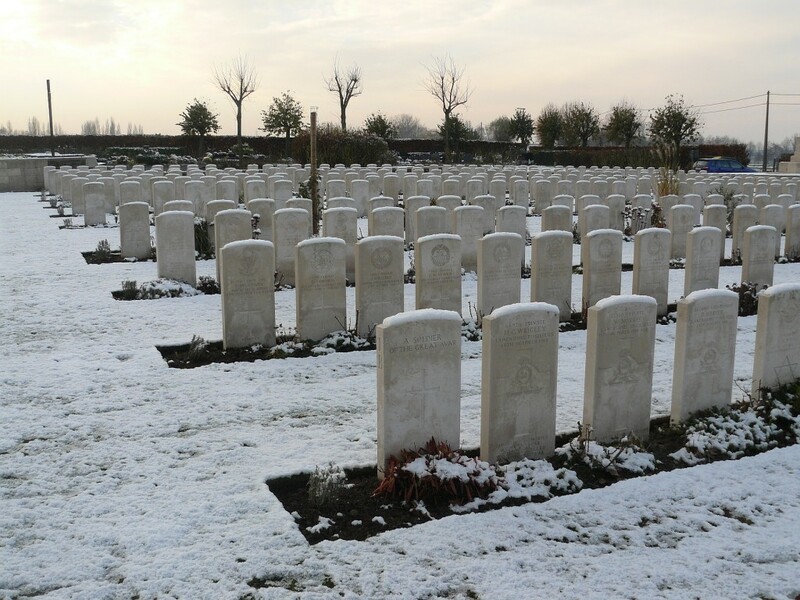 hi sorry if I appear to be out of line but my granddad is buried in dadizeele new British cemetery I wondered if there was a photo of his grave ,he is private Alrfed Phipps army number 201898 ,thank you ,sorry forgot to say he was in Worcestershire regiment ,. Not in the slightest out of line, Terry! We are here to try to help. Viv has kindly answered your query above. Hope that helps. Yes it was a great help ,I now have a photo of my grandads grave ,it’s a pity my mom is not with us now(she died in June this year aged 96 )she never got to see him because he returned to the front and never came home. Well I’m glad you got the photo, but I’m sad about your mom. So many never saw their dads. My dad is 96, by the way, born in 1918. Yes very sad for lots of family’s ,hope your dad is well,my next step is finding out how my grandad died and where. Yes, he’s as well as can be expected. Only just moved from his own house to a retirement home. Thank you for asking Terry. You need to find the Worcesters’ War Diary. Always a good place to start. Have you looked for his medal index card? My (maternal) Great Uncle was Cpl Ernest Gibbons – actually a Bedford boy who ended up with an Irish Regiment. Corporal 5021, 1st Battalion, Royal Irish Rifles. Killed in action Tuesday 1st October 1918 in France & Flanders. Born Queen’s Park, Bedford, enlisted Bedford. Brother of Miss E. Gibbons, of 35, Preston Rd., Bedford. Formerly 7555, 8th Reserve Cavalry Regiment. 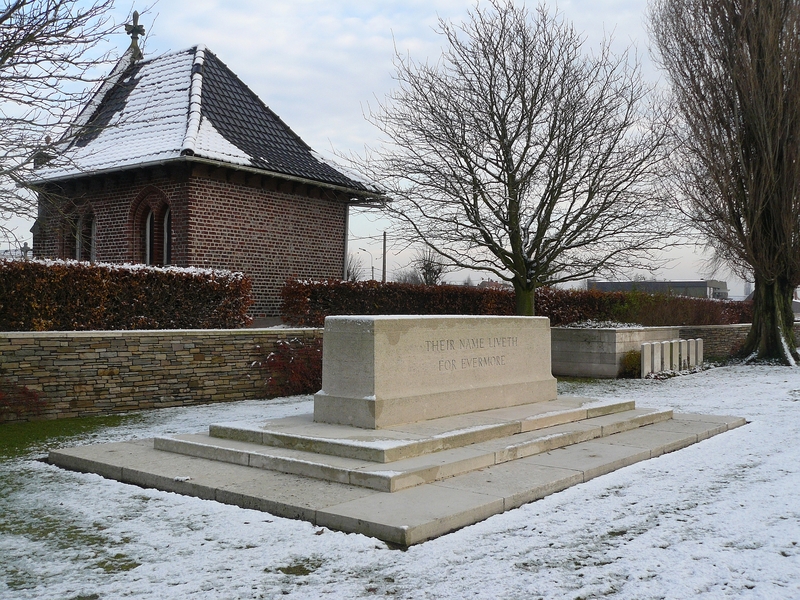 Commemorated in DADIZEELE NEW BRITISH CEMETERY, Moorslede, West-Vlaanderen, Belgium. Special Memorial 3. Thanks for that Phil. And glad you found the post of interest. Military Medal has never been found. abraham was 19 years old. Fantastic to hear from you. My email is Stanmatthews6@sky.com. I’ve lots of questions for you. I think we are first cousins one removed. Just found your blog as I am researching for a trip we have upcoming this summer. My Great Uncle, Pte. 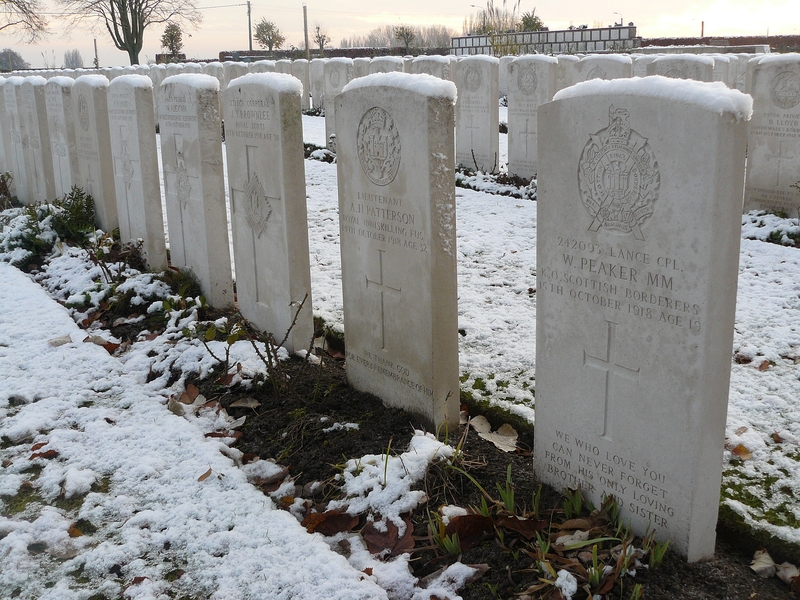 Michael White of the Royal Newfoundland Regiment, died Oct. 3, 1918 and is buried there. Like so many did back then, he lied about his age so although his headstone says he was 18 he was actually only 17 yrs old (or so the family story goes). Thanks for this website. It is very interesting and informative. I shall add new photos to the post in time. Viv – Thanks for the update. You are quite correct. I have yet to visit Maroeuil although I was close earlier in the year on my Somme/Arras trip. Very much appreciate you letting us know what has been happening – do let us know what else you discover in time. 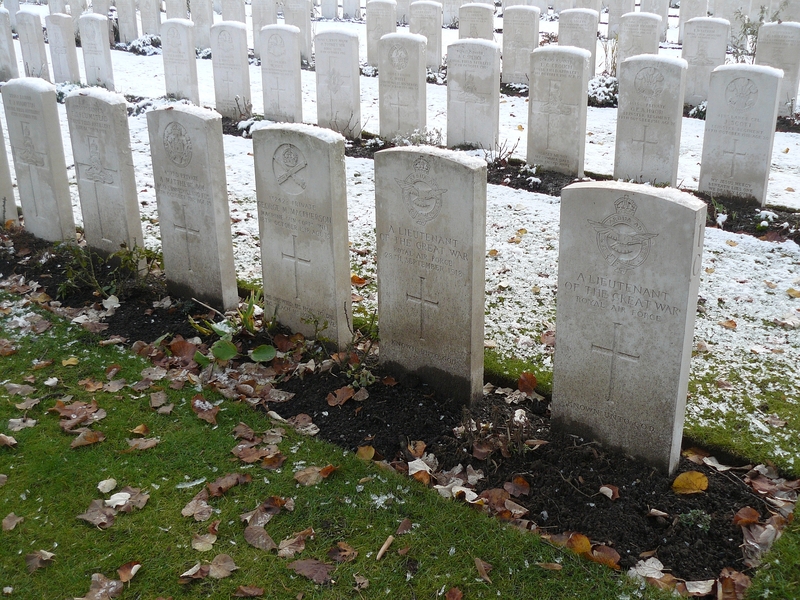 My wife’s uncle, PTE William James (Haley) Healey, Royal Newfoundland Regiment #2984 died at Ledegem on Oct 3, 1918. First buried at Moorslede, later recovered and buried at Dadizele after the war was over. William enlisted at age 16 yrs 2 mths, claiming to be 18 – after serving for , he died at age 18 yrs 4 mths. In addition I have a member of my own family in this cemetery CSM Wilfred Hedley Barbour , Royal Newfoundland Regiment # 3705. Wilfred also died at or near Ledegem on Oct 14, 1918. Thanks for your comment, Ed. Both men killed so near the end of the war, and both so young. You will find my visits to Beaumont Hamel on the Somme and the site of the dreadful slaughter of the Newfoundlanders on 1st July 1916 elsewhere on this site, should that be of interest.